I discovered She Hit Pause Studios at the Brooklyn Flea a couple of weeks ago and nearly swooned on the spot. Photographer Matt Schwartz’s dream-like polaroids are completely entrancing. There are so many stunners to choose from, but ‘girl in a field’ spoke to me and begged to be taken home. Naturally, I obliged. I just thank my lucky stars I found you at the Brooklyn Flea. 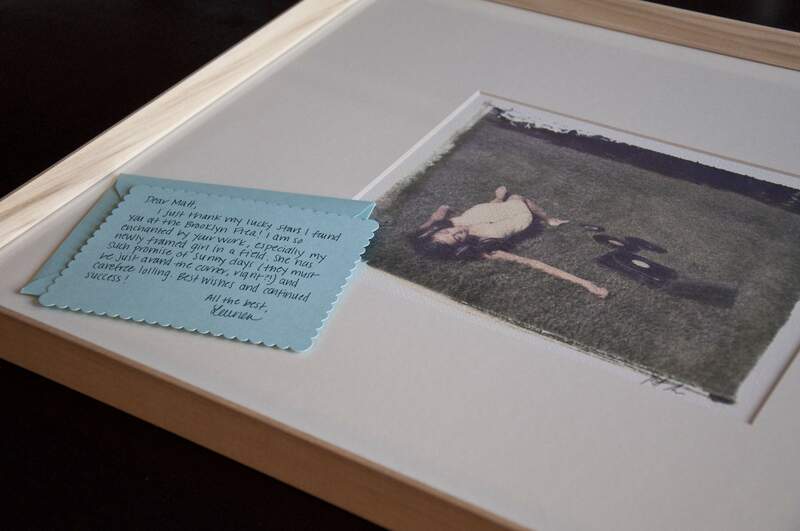 I am so enchanted by your work, especially my newly framed girl in a field. She has such promise of sunny days (they must be just around the corner, right?!) and carefree lolling. Best wishes and continued success!